Taxpayers will have to wait a bit longer to find out what's in a $1-million consultant's report on economic diversification in the province. 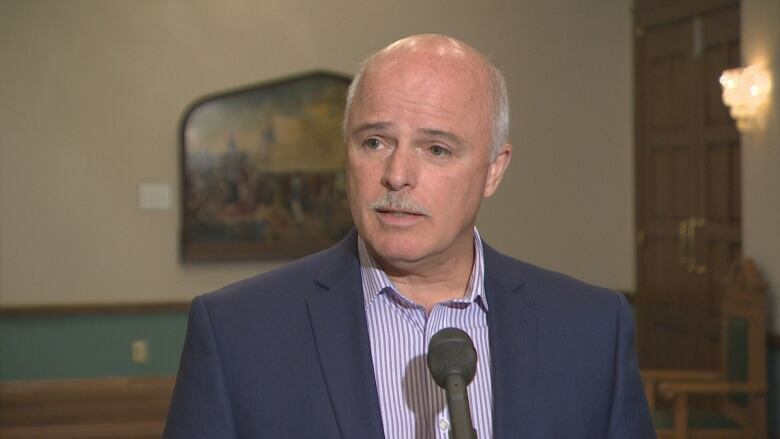 Finance Minister Tom Osborne says the deadline for the completion of the final report has been pushed back two months, to the end of February. The initial deadline to complete the work was the end of December. And while he intends to make the report public, that won't happen until after the provincial budget, another six to eight weeks after that. "Cabinet will need some time to review the report," Osborne said. "And you know it's certainly my intention that it will feed into budget 2019 as well. And at that particular point, the report will be released to the public." In September, Osborne announced the selection of McKinsey & Company, a New York City-based management-consulting firm with offices in Canada, to do the work. In early January, CBC filed an access-to-information request for records provided by McKinsey & Company as part of the process. A couple of days ago, the Department of Finance rejected that request, citing cabinet secrecy. But Osborne says he has the discretion to make the report public. "While we're not obligated to release it, we certainly will be releasing it," Osborne said. The province is looking for advice on economic diversification, at a time there are several pots of cash available. Osborne says those include ocean supercluster money, a fisheries fund, and an agreement with Equinor for a deepwater drilling centre of excellence. "So we're at the stage now where we've literally got hundreds of millions of dollars at our disposal," he said. "So this report was intended to help ensure that we get it right, as we move forward … all of these stars are aligning all at the same time."